In 2012, amateur filmmaker and on-again/off-again inmate Mark Youssef uploaded his short film, Innocence Of Muslims, to YouTube. The movie depicting the Muslim prophet Muhammad as a violent, idiotic womanizer, quickly went on to offend people around the world, with one Egyptian cleric even issuing a fatwa calling for the death of everyone involved. Among those unlucky few was actress Cindy Lee Garcia, who appears in the film for a scant five seconds, but who nevertheless received a string of death threats over her participation. In the year that followed, Garcia repeatedly asked Google-owned YouTube to take the film down. They didn't. Garcia's lawsuit, Garcia v. Google, Inc., eventually made its way to the 9th Circuit Court of Appeals in San Francisco, where chief judge Alex Kozinski granted an injunction commanding Google to remove the movie from YouTube. They did. Spokesperson Abbi Tatton said Google "strongly disagrees with this ruling and will fight it"—perhaps afraid that bit players in any of YouTube's thousands upon thousands of videos will start demanding the company take their clips down if they don't like the way they look from that angle. However, Kozinski's opinion takes pains to point out that this was a special circumstance. The judge puts a lot of stock in the fact that Garcia was tricked into being in a movie other than the one she signed up for. 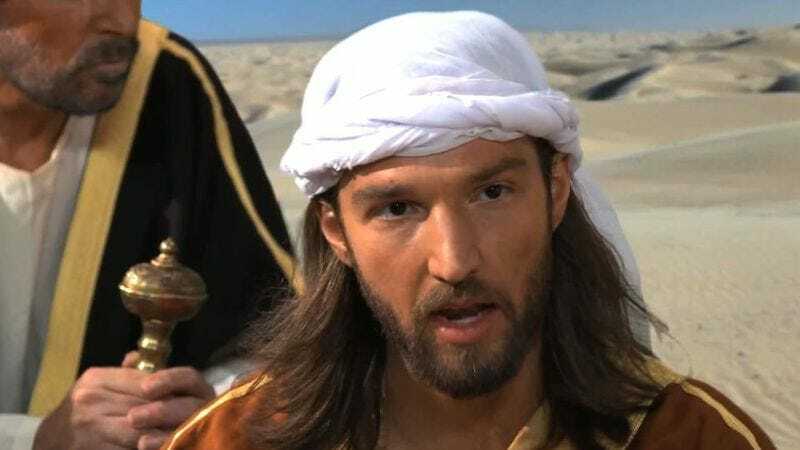 When Garcia responded to the original casting call for Innocence Of Muslims, Youssef told her it was for a bit part in an adventure film set in ancient Egypt called Desert Warrior. Garcia's original line, which may have been something like, "The Desert Warrior will make short work of you, Anubis," was later dubbed over by Youssef to make her say, "Is your Muhammad a child molester?" Kozinski explained: "This is a troubling case. Garcia was duped into providing an artistic performance that was used in a way she never could have foreseen. Her unwitting and unwilling inclusion in Innocence of Muslims led to serious threats against her life." Google intends to appeal the decision. There are no plans to release Desert Warrior at this time.